Teatru Astra proudly announces the cast for the two performances of Verdi's Nabucco on Thursday 23 and Saturday 25 October 2014. It will be exactly 20 years after it was performed at the same theatre that a new and exciting production will be put on at the Astra with a formidable cast leading the way. As part of Festival Mediterranea, Nabucco will take centre stage in this year's Festival programme. Opera at the Astra is synonymous with fantastic productions and wonderful music-making. One recalls the latest productions of Norma, Madama Butterfly and Otello, not to mention Macbeth, Turandot, Aida and a host of other operas that set a benchmark for opera productions in Malta. Leading the cast is formidable Italian baritone Piero Terranova, who has sung in major European opera houses such as La Scala, amongst others. The difficult role of Abigaille will be tackled by another Italian singer, this time soprano Silvia dalla Benetta. Famous for her scintillating yet dark texture, with an extensive range and a penchant for coloratura, Silvia dalla Benetta promises to be a superb Abigaille. 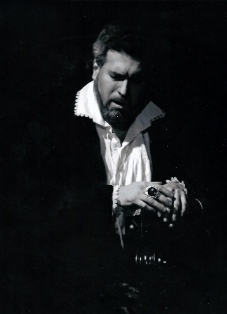 World-famous bass Carlo Colombara will be singing the role of the High Priest, Zaccaria. Considered by critics to be the ideal Verdi bass, his is a powerful voice, beautiful in tone and dark in timbre, one that has seen him earn rave reviews for roles such as Philip II in Don Carlos, Ramfis in Aida and many others. He has sung in the major theatres across the world alongside singers and conductors of equal repute, namely, Placido Domingo, Maria Guleghina, Antonio Pappano and Zubin Mehta, to name just a few. 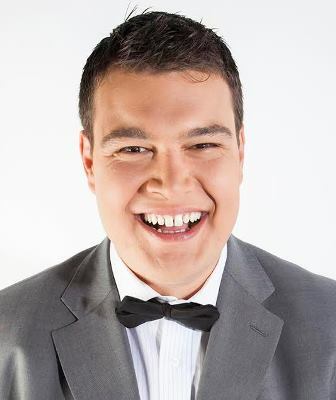 No newcomer to the Astra stage, Cliff Zammit Stevens will debut on the islands with a lead tenor role, that of Ismaele. Having already performed with flying colours the roles of Goro in Madama Butterfly and Cassio in Otello, Cliff is endowed with a crystalline, mellow texture that is ideal for the role of Ismaele. Fenena will be sung by Olga Slepnynova, who patrons remember from her wonderful performances of Suzuki in Madama Butterfly and Emilia in Otello last year. Nabucco is an early opera by Verdi, one that caused a tremendous amount of controversy at the time of its first production because of its fervent nationalistic thrust, its cries for freedom from political oppression and the historical place time has garnered for it over the centuries. However, opera lovers do not only remember these attenuating factors attached to Nabucco - the moment the name is mentioned opera-lovers remember the great role that the chorus has. In Nabucco the chorus has a lead role, a protagonist whose quality of contribution could make or break a production. Nabucco is an opera literally flooded with choral numbers, one in which the chorus is the pivot around which the rest of the opera rests. Astra Theatre's Opera Chorus has earned a sound reputation for itself over the past twenty-five years. Made up of the best elements on the islands, it will once again be strengthened by a group of professional singers from Rome. Enrico Stinchelli, of La Barcaccia fame, will once again be responsible for the artistic production while Joseph Vella, Astra Theatre's Musical Director and Mediterranea's Artistic Director, will be directing the Malta Philharmonic Orchestra for the two performances.